Do you know what your debt to income ratio is? 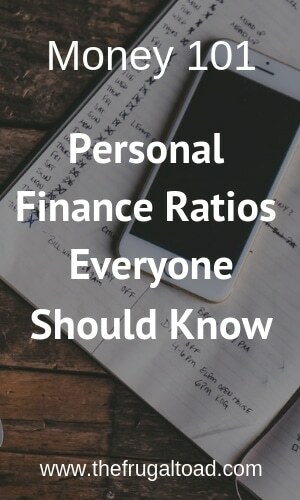 It is probably one of the most important personal financial ratios around and is one factor in determining your credit rating, the interest rates you pay, and directly effects how much discretionary money you have to spend. The ratio of current period's cash surplus to the current period's income after taxes. The current savings rate for Americans is 6.2% of disposable income, it was 17.3% in 1975. For most Americans, saving 10% of their income is not possible. Most money experts believe individuals should be saving between 10% to 20% of monthly income. This is the ratio of monthly consumer debt payments to monthly (after tax) income. Add credit card payments, auto loan payments, and department store account payments and divide by your after-tax income. Consumer debt payments should not exceed 20% of your monthly take home pay. Debt to Net Worth Ratio is a ratio that can help illuminate your financial health. Before we can calculate Debt to Net Worth, we need to take a look at how net worth is calculated. Net Worth is calculated by taking total assets and subtracting total debts. Assets include your home, vehicles, bank accounts, 401k, IRAs, other investments, home furnishings, collections, clothing, etc. Total debts include things like your mortgage, car loans, credit cards, student loans, home equity loans, etc. Subtracting your total debts from your assets gives you your net worth. Next, take your total debt and divide by your net worth to arrive at your Debt to Net Worth Ratio. 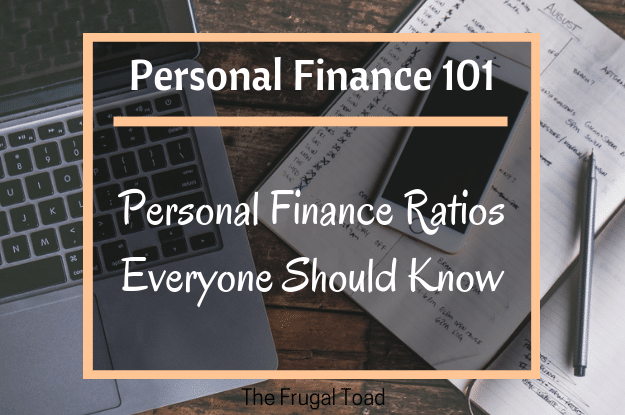 This ratio is a snapshot of your financial health as it relates to debt and will change over time. As you increase your savings, assets, and investments, your Debt to Net Worth Ratio will decease. The TDS or Debt to Income (DTI) ratio gives lenders an indication of whether a borrower has the income necessary to cover all monthly debt obligations in addition to a mortgage payment. TDS ratio is calculated by taking mortgage, credit cards, student loans, court ordered obligations, and other debt payments and dividing by gross monthly income. Lenders typically will not give a qualified mortgage to a borrower with a TDS that exceeds 43% of gross income. The Gross Debt Service Ratio is a key ratio used by lenders during the underwriting process to determine how much a borrower can afford to borrow. You can calculate your GDS by taking your total monthly housing costs and dividing by your monthly income. To calculate monthly housing costs add mortgage payments, utilities, insurance, taxes, and HOA fees. Lenders generally require a GDS Ratio of 28% or less. The liquidity ratio is one of the most important ratios of financial health because it shows the number of months an individual or family can meet current monthly expenses by tapping into cash assets ( e.g. in cases of job loss or disability). Cash equivalent assets include checking and savings accounts, savings bonds, CDs and other short-term liquid investments with maturities of 3 months or less at date of purchase. Liquidity Ratio is calculated by taking cash equivalent assets and dividing by monthly expenses. Most financial experts agree that individuals should maintain and emergency fund sufficient to cover 3-6 months of household expenses. So now what? I already know I am not saving enough but what can I do? Concentrate first on your current job. Size up the opportunities for advancement in your current place of employment. A good place to start is the job postings. Are most of the jobs listed in areas you lack the qualifications for? If so, you may need to go back to school to acquire those skills or start looking elsewhere. This is where your networking skills can help you land a position before it is even posted so continue attending happy hour with colleagues and making your boss look good. Look for ways to increase your income leveraging the skills you already have. Do you have a hobby like photography that you could parlay into a part-time income? Be creative in looking for ways to make money. Check out Creative Ways to Make Money Online. Cutting discretionary spending is the quickest way to increase monthly cash flow. Itemize where you are spending your money and prioritize needs versus wants. Go for the easiest cuts first to gain success and then be sure to get family members to buy into the plan. A successful financial plan must start with clear goals, a realistic way to get there, and a way to monitor your progress. Use a free service like Personal Capital to keep track of your finances. Read about ways to you can lower your expenses and save more money. Lower your debt payments. Refinancing a mortgage should be at the top of your list as long as you plan on staying in your home for the next 5 years and can reduce your interest rate by at least 1.5%. To get the best rates you should have a FICO Score of 740 or higher. For every 20 point drop in your score expect to pay .5% more in fees. Take advantage of balance transfer offers from credit card companies to pay off higher interest cards. Be sure to destroy the old card and do not make purchases on the new card since you will most likely pay a much higher interest rate on purchases. Have junior pay for his own car insurance. As more families find children returning home after college, it makes sense that they should share in the household expenses. Be creative in looking for ways to save money. Use coupons, rent from RedBox, delay that trip to Europe. How about you? Do you know what your liquidity ratio is or have advice about how to improve it? Those ratios are definitely worth adding to the excel spreadsheet! Looks like our housing costs are around 48% of income right now but we are paying down our mortgage as fast as possible. Hi Sydney! When I first saw that graph I knew why we were in the midst of a financial meltdown. 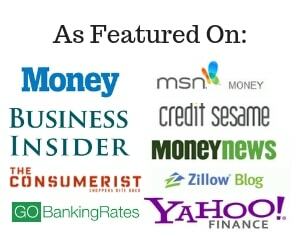 Americans were financing a lifestyle on debt! Very helpful ratios to know. And wow that chart is so depressing to look at! But it’s a wake up call a lot of people need. Getting control of debt is so important! Liked all the ratios you have mentioned above. All my ratios seem to be in line – time to stop worrying, it seems. And I think that the different ways to approach the situation if the ratios are out are specific to to time on the ‘progress line’. What I mean is that the debt ratio is high to stabilise the situation one ought to look at discretionary expenses (followed by other expenses). Once stabilised one ought to turn to increasing income. Hi Neo, glad to see you are back. I’m now a mechanical engineer with a good-paying job and can enjoy nice things, but still live within my means. 10% savings ratio? That seems…very high. Does that include college savings and retirement savings? Or is this oriented toward “You’re going to have to put a downpayment on a car, replace a roof, and save just in case you lose your job” money? Definitions are always crucial to this sort of advice. But thank you for clarifying some other ones. I’ve been looking for a good house ratio definition for a while; does 28% mean before or after taxes, before or after 401(k)’s? Thanks for answering that. Sounds like you are doing the right things to teach your children how to manage their finances and appreciate the value of a dollar. Those are skills that they will use the rest of their lives. We are trying to instill in our boys the importance of financial responsibility and saving, so that they can hopefully avoid debt. Many of the kids they go to school with are quite privileged and have new cars, but we have an old beater that we keep around for our teenagers to drive. It’s a 10 year old Jeep Grand Cherokee, but it looks good and runs great. We own the car and pay the insurance, but since they are allowed to drive it, they are responsible for the gas. Both of our sons work part time jobs to pay for their own things, outside of food, school clothes, etc. They also have to do chores around the house and don’t get paid an allowance. We might sound mean, but I see too many spoiled kids that have no clue about real life finances and I don’t want our kids to be like that! Some great tips on a fairly fundamental topic. Now if only you could advise the government officials. I think it can help to build some important skills if you teach your children how to be responsible for their own lifestyle decisions. It can be something as small as buying their own movie ticket to paying part of their college tuition. The key is to start as young as possible. We pay for our 12 year old’s cell phone bill however she lost her phone not once but twice. The first one we covered but she had to cover the second replacement out of her savings account. Luckily we have insurance and she only had to pay $40. “Have junior pay for his own car insurance.” – I like that. Make him pay for his gas too, haha. When I drove my father’s car he’d insist on gas money. Looking back, I’m sure I’ll do the same thing. Thanks for sharing that important ratio. I tried to gear this article to the average consumer and keep the focus narrow. I agree with you that liabilities to net worth is an important ratio. That ratio is typically higher with lower incomes than higher incomes but not always. It is a great measure as to how leveraged you are and if you are living withing your means. Great post – I love simple ratios like this. They are simple and easy to track. While they may not worwork for everyone in every situation, they are great rules of thumb. I think this is a great goal to shoot for, but many people just have way too many expenses in which they’re responsible. It would take a lot of hard work for many people to get close to these ratios. Most are happy with whatever free time and disposable income they have now. It’s unfortunate, but it’s true. I have an article planned on that one and decided to leave it off the list. Thanks for stopping by Shaun. I’d add net worth to your list. It’s not a ratio, but it’s just as useful. I am doing good on all the ratios, except I am not a home owner yet. The housing is bit costlier here in south Florida. Need to increase my passive income a bit more before I buy home to be well within the ratio you suggested.